The ever-evolving field of SEO never sleeps and 2018 presents a few new changes that can make winning at SEO a bit more challenging. Although the year is halfway over, it’s never too late to catch up with the latest trends and best practices. 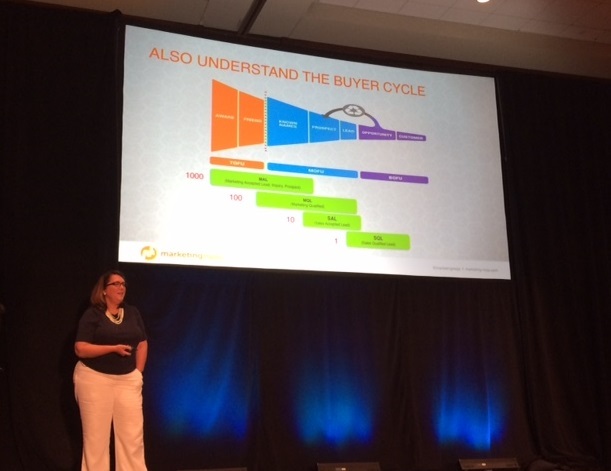 During the Digital Summit in Atlanta, a few of these useful nuggets were revealed by none other than our own CEO, Janet Miller. I was also attending the summit and decided that I should share a few key SEO techniques and misconceptions to look out for in 2018. Google is now rolling out mobile-first indexing, which means they will look primarily at the mobile version of your site before the desktop version. It’s absolutely vital to ensure that your site’s mobile experience is fast, responsive, and user friendly. For those of you who still have m.domain.com or mobile.domain.com versions of your site, it’s time to make the switch to a responsive site where all the content is the same no matter which device is being used (See below). A great way to check your site’s mobile appearance and performance is by using Google’s Mobile-Friendly Test for all of your pages. With the rollout of the new Google Search Console interface a few months back, SEOs are getting even more data directly from Google to ensure they are following best practices. Although, many of the functions of the old interface have not been launched, the new interface is shaping up to be more powerful and insightful. The design is sleeker and easier to use and comparing year-over-year data is no longer a hassle. The Performance report offers a much better way to track and compare your queries, page traffic and devices used in comparison to the old interface. The Index Coverage report in the new Google Search Console interface is honestly the best. It identifies way more issues than the old version and provides you with detailed descriptions of any index related errors and excluded pages. An often debilitating SEO problem, duplicate content, has never been easier to identify and resolve. There is more to come with the new interface and I can’t wait. However, any webmaster or digital marketer should be using the new Search Console tools that are available now. Knowledge Graphs are becoming increasingly prevalent at the top of SERPs. 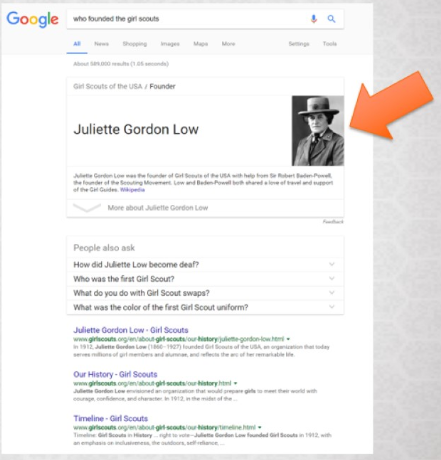 Often referred to as position “0”, Knowledge Graphs are the boxes that appear above all other search results, often answering a question or providing facts about a person, place or thing. Structure Your Unstructured Data – Clearly define concepts or items so that Google understands that the information is an answer to a singular, unique idea (Ex. Nikayuh Walker is the mayor of Charlottesville, Virginia). Use Schema or Structured Markup – Define attributes of your organization, products, people and much more using Schema. Think of this type of structured markup as easily digestible bits of information for search engines to turn into Knowledge Graphs or Rich Snippets. Google has come right out and said it: social media links, shares, likes etc. are not a direct SEO ranking factor. This is a common misconception that many digital marketers have in 2018 even though Google has made it clear – but that does not mean social media activity is not an important aspect for your business or your site’s organic traffic. Here are a few ways being active on social media can indirectly help your organic search traffic. Potential Links – Sharing amazing content via social media allows people to discover it and link back to it from their blog or site. Building an Audience and Brand Search – The more content you share, the larger your audience may grow. More people searching for your brand name, or keywords related to your brand name, and then clicking on your site, helps SEO. Engaging your audience on social media only increases the chances of them organically searching for you later. Owning Your Brand SERPs – One additional benefit of staying active on social media is owning as much real estate as possible for a search of your Brand. 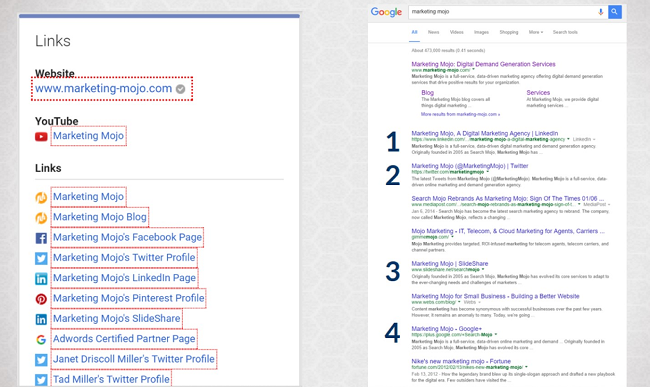 Knocking competitors to the second page of SERPs is ideal. You should also link you social media profiles to your Google My Business and Google+ accounts so they appear in your brand’s structured Snippet. There is a lot more to consider regarding SEO in 2018 – way more than could be written in a handful of blog posts. These are just a few of the topics that I found to be the most enlightening. However, there is a way that you can get the most comprehensive review of SEO of our day and age. 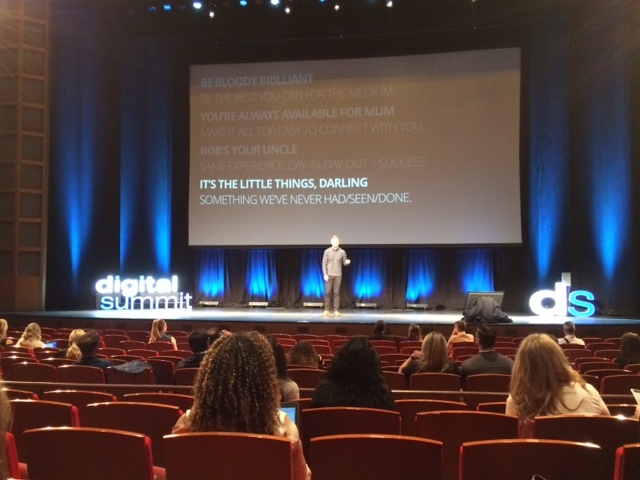 The Digital Summit will be coming to a city near you and so will Janet! To get the ultimate SEO-101, find out where the next Digital Summit will be, and attend the session presented by Janet Miller.